Another reason why I love October? Apple cider! When I saw my grocery store had stocked the produce cooler with the autumn beverage, I had to scoop some up. I knew that this recipe for Cider-Glazed Chicken was tucked away in my recipe book somewhere and I’d been waiting for just the right time to pull it out. Chicken breasts are browned in butter until fully cooked and then tossed in a simple glaze of apple cider and dijon mustard. So easy and so quick! 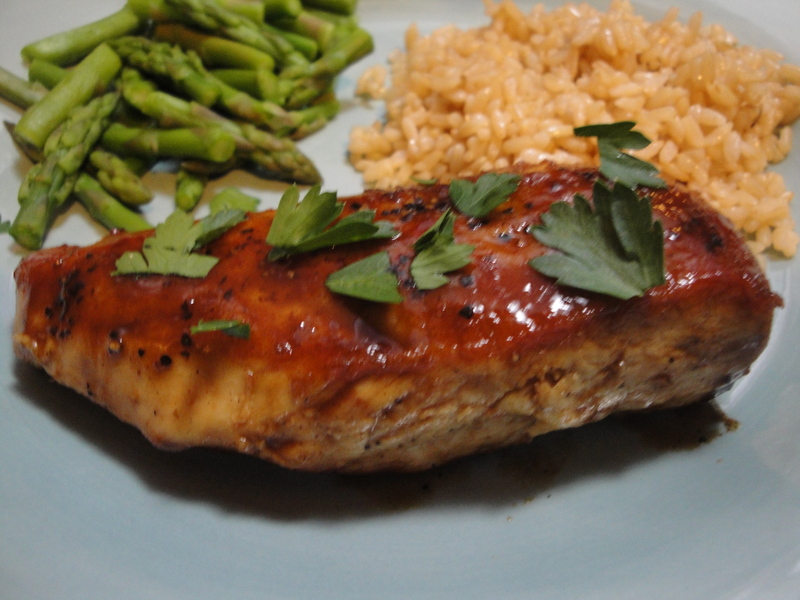 The glaze gave the boring chicken breasts a tasty flavor with the subtle hint of apple without overpowering it. Whether you want to make this recipe or not, pick up some apple cider somewhere along your travels and do some cooking with it. Enjoy the burst of apple while you can! 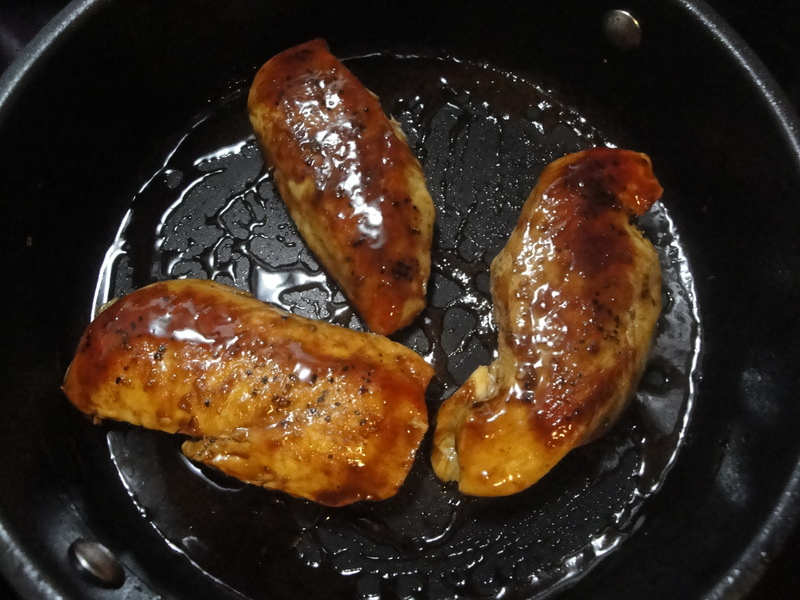 Brown salt-and-peppered chicken breasts in butter. 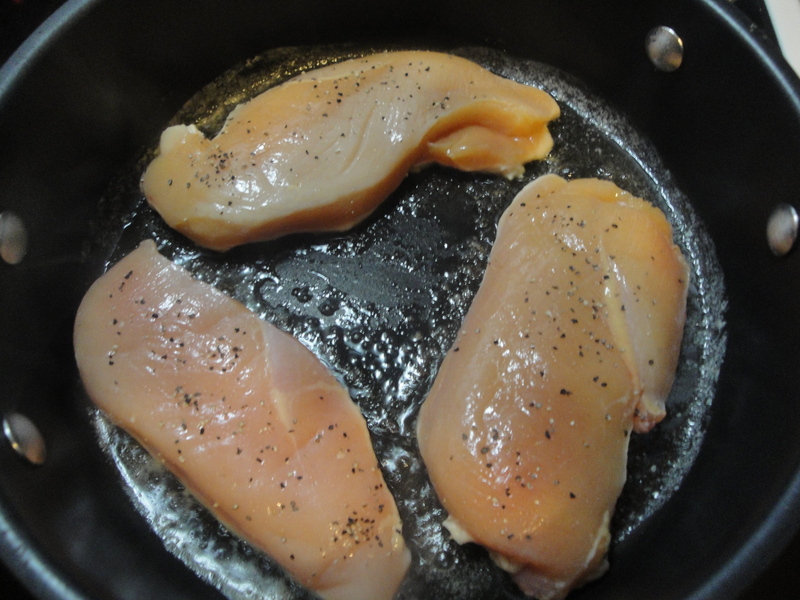 Remove the fully cooked chicken from the pan and set aside. Pour apple cider and dijon mustard into the hot pan. 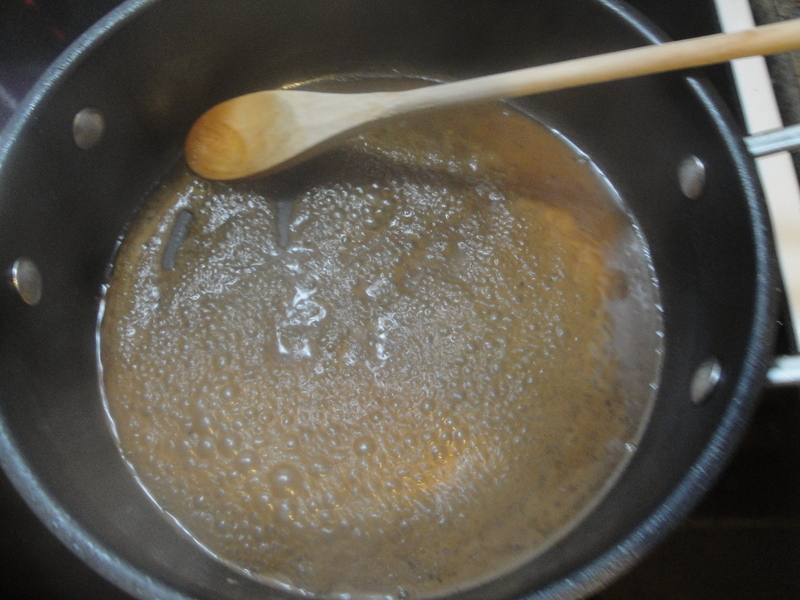 Stir together until slightly thickened. 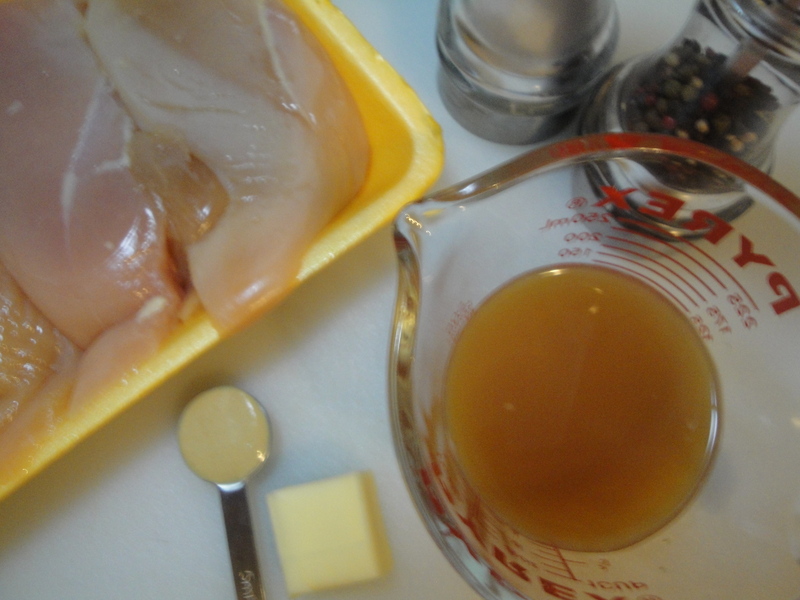 Add back the chicken breasts and coat in the cider-dijon glaze. Oh, I am definitely going to try this Shannon! 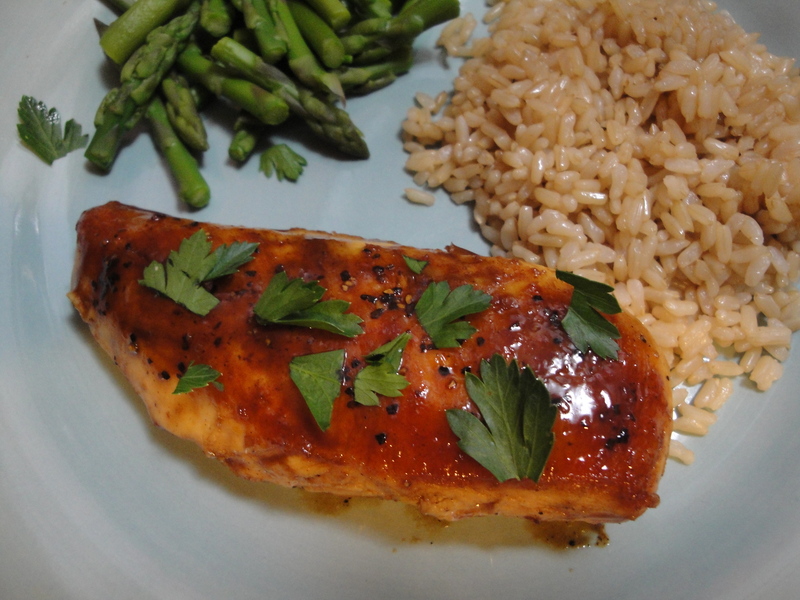 I love the idea of the zesty mustard and sweet apple cider on the chicken so yummy and glazed. I hope that I can find cider here in Hong Kong. Apple juice just does not cut it!